We’re probably all heard the expression “the world does not revolve around you.” If you’re anything like I was growing up then you probably heard it a lot. We all have this common tendency to think of ourselves as exceedingly significant, and we all hold ourselves up as most important in our own minds. This common temptation towards grandiosity is also one of the major character flaws in addicts. Our common self-obsession makes us more like the addict than we realize. Grandiosity is the exaggerated belief in one’s own importance. It goes by all kinds of names: pride, hubris, arrogance, self-centeredness, selfishness, etc. The list is long but the idea is all the same, we make ourselves the center of our world. We expect others to conform to our demands, needs, and desires, and we believe, fundamentally, that the world does in fact revolve around us. We would, of course, never say this, but it’s how we act. It is common to us all. It’s common to us all because we are sinners, but it is particularly common among westerners because we have turned pride from a cultural vice to a cultural value. In the modern west we no longer feel this way. We have centered multiple components of our culture on promoting, encouraging, and cultivating pride in the individual. Everything from education to legislation has this starting presumption: people need a higher view of themselves. Modern counseling has been the biggest culprit in this shift promoting unbiblical ideas of self-esteem. An inordinately low view of ourselves can be a problem, but it is not nearly as ubiquitous as we have made it in American culture. And James warns us that we fight and quarrel because of our own sinful desires that wage war within us (James 4:1). We are selfish people. We are consumed with our agendas, our demands, our wants, our needs. We prioritize our importance and significance. Within addictive personalities grandiosity can manifest in two types of scenarios: uniqueness and independence. All addicts believe they are in control, at least at first. They are convinced that they can stop whenever they want, they can quit, and they can use without serious consequences. They aren’t like other users who were to weak and careless. They are different. This plays out in their view of their problems too. I have had numerous addicts explain their life situation, which drove them to drugs, as if it were somehow the exception to the norm. Their life was so much worse than anyone else’s and it therefore justified their behavior and their substance abuse. There are, of course, some horrible stories, and it’s heartbreaking to hear the lives that some of my friends and counselees have lived, and yet they are not so unique and so distinct as to excuse their choices. We can all be like this. We tend to think that nobody can understand our situations. Nobody knows what it’s like to be me, to live with this spouse, to have these kids, to have this job, to suffer with this illness. We put ourselves on an island and we communicate our importance through this uniqueness. We justify and ground our desires, behaviors, and attitudes in this uniqueness. It’s not all that different from what an addict does. The second way grandiosity manifests is in independence. Many addicts convince themselves that they don’t need anybody. They can do it on their own. They don’t need help, they don’t need friends, they don’t need community. Yet community has been shown to be the most significant factor in a person’s recovery. Still many addicts refuse to invest, submit, and share with others. This independence not only leads them to addiction, it will keep them stuck. The modern American is not all that different. Independence and autonomy are major cultural values, and long-celebrated ones at that. We refuse to be humble, to admit we are struggling, to as for help, or to invite accountability. We are a proud people and this grandiosity manifesting as independence will lead us into further and further trouble. 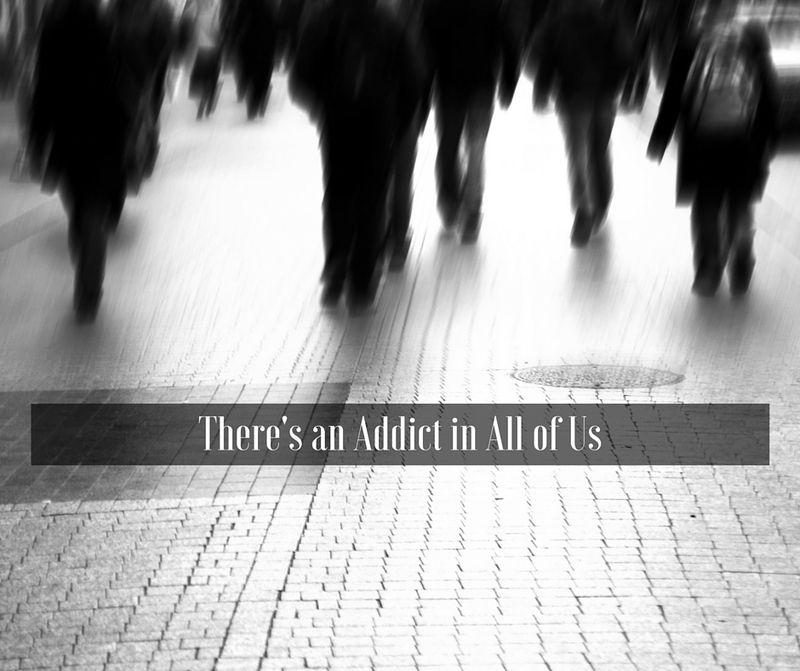 We are not all that different from our addicted brothers and sisters. Their own grandiosity is a character flaw that contributes to their addictive behavior. It’s not that far removed from our own grandiosity. We are far more alike than we care to admit or realize. Our own inflated view of ourselves is an idol that will lead us to all kinds of reckless and destructive behavior. It always does.